Every year my entire family gathers together for a picnic over the Memorial Day weekend but this year they changed the date and sadly there was no picnic. It threw off our entire weekend because it’s the start of our summer camping season… we were able to turn it around though! A new campground was found pretty easily and we set out with my husbands grandparents for a fun weekend together in a place called Turkeyville. Our summer camping season could begin and I was looking forward to getting away and enjoying our time together. This year instead of the family fish fry we roasted hot dogs over an open fire, homemade potato salad (my husbands favorite), and all the other picnic favorites like s’mores. 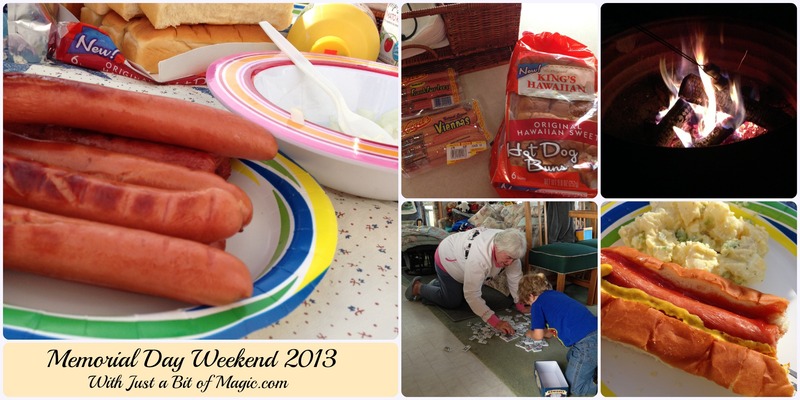 I have to say that it was just as fun and there is nothing better than a hot dog roasted over an open fire. Well, nothing better than eating that hot dog on a Kings Hawaiian bun because these buns are amazing! Super soft, sweet, and someone was a genius when they came up with the idea to split these buns right down the middle instead of the side! Not a single bun broke or crumbled. I have to say that after giving these a try that we won’t be switching back to regular buns any time soon. Seriously… these are amazing. Hmmm… maybe you can’t tell by her expression but she really loved them. 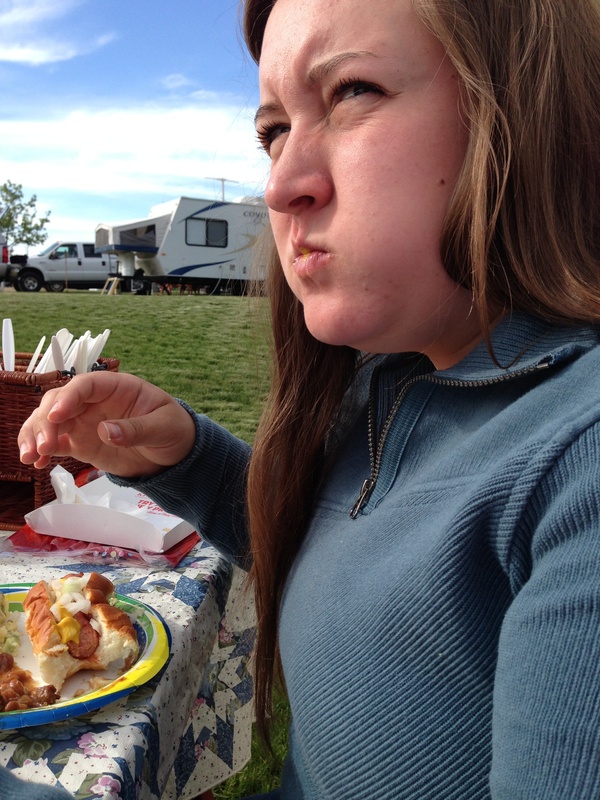 She just didn’t want me to take her picture while she was eating I think… oops. She’ll probably like it less that I’m sharing it with all of you too.